Although it appears contemporary in style, the café table is actually an all-time classic. Café tables combine the heady elegance of Parisian restaurants with the laid-back atmosphere of casual dining. Northern’s version is made for cafés, restaurants and indoor food courts, or any setting where sleek tables set the tone. Camp is also a great choice for home dining. When space is short, the table’s efficient size enables it to squeeze into the kitchen, or slip effortlessly into a living room corner. 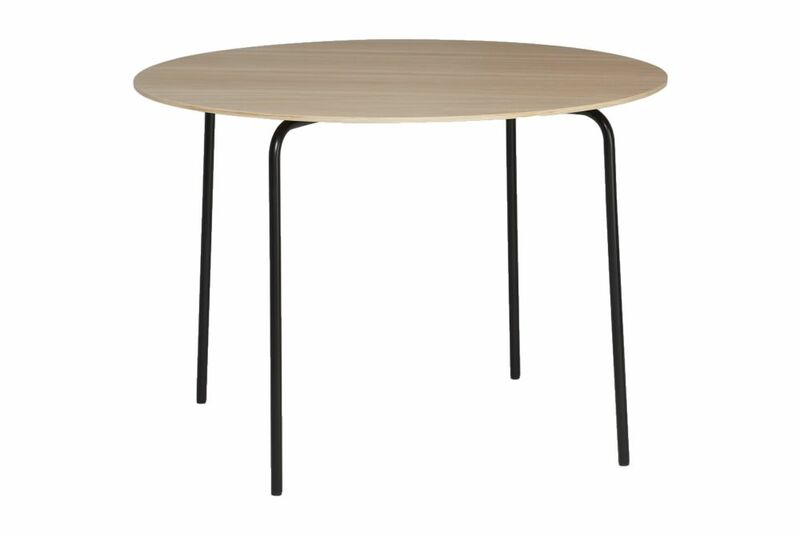 The table is made with three different finishes: a smooth laminate top in matt black, a dark veneer in smoked oak, and a light-coloured veneer in oiled oak. Rudi Wulff is a Norwegian designer based in Oslo. After receiving a masters degree from the Oslo School of Architecture and Design, he established his own studio. Wulff has explored some groundbreaking ideas through his work, creating new concepts for two-wheeled transportation, urban nomadism, flexible electronics and static display systems. Wulff ’s work is underpinned by principles of Scandinavian design, and his products are often characterised by functionality, clean lines and sleek surfaces. Wulff created the Maze pendant light for Northern Lighting in 2006, and his tactile Oblique tea light holder was designed for our new collection.